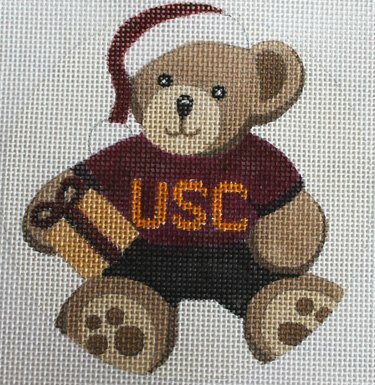 This teddy bear needlepoint canvas with your school colors is 4" round on 18 mesh. The teddy bear's sweater comes in any color. Letters of your school only appear on the sweater.